When you are ready to get serious about your workout, sculpt and strengthen your entire body with the Stamina 1690 Power Tower. One piece of equipment gives you multiple workout stations for push-ups, pull-ups, sit-ups, tricep dips, and vertical knee raises. Build total body strength. Sculpt your chest, abs, back, and arms. 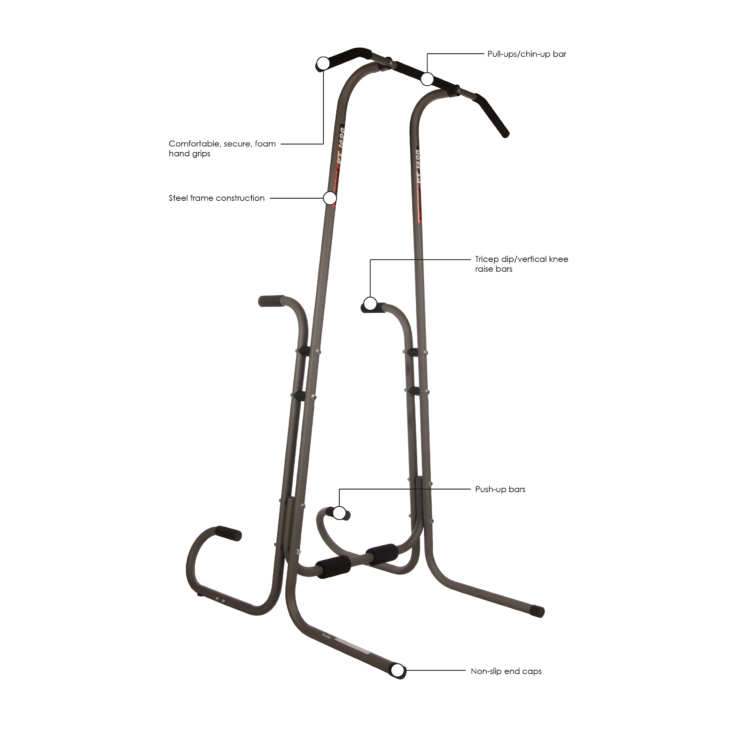 Freestanding with a small footprint to fit easily into your home workout area. Provides an intense yet safe workout.